According to Massispost.com, Carson City, California is considering erecting a sculpture in Mustafa Kemal Ataturk’s honor at the request of the Association of Turkish Americans of Southern California. If passed this butcher of Anatolia will be forever portrayed to future generations of Californians as a ‘hero’, rather than what he really was, a murderer! 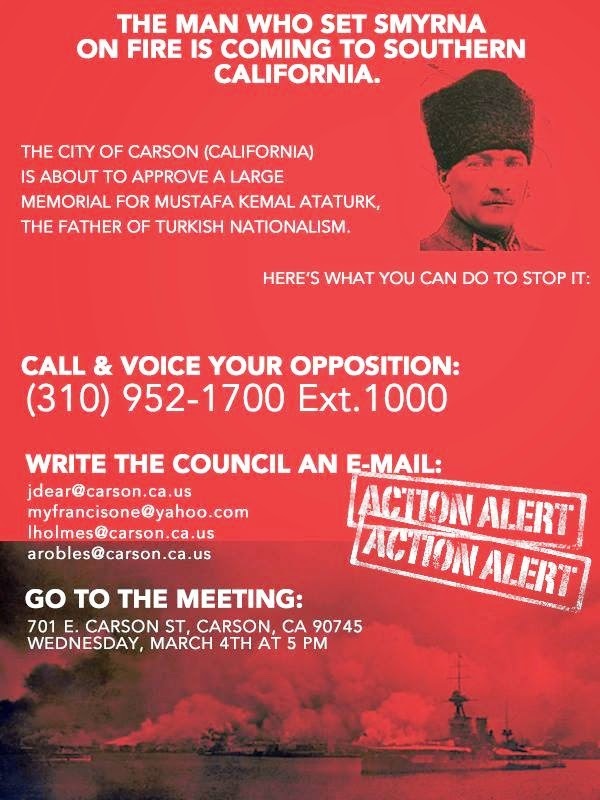 Carson’s City Council is scheduled to vote on this “Turkish Cultural Project”, today March 4th, 2015. 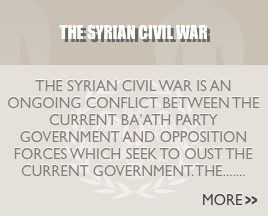 Operation Antioch urges all Greek & Levantine Rûm-Americans to contact Carson City Mayor Jim Dear, and urge him to vote NO to honoring this monster! Mustafa Kemal “Ataturk” was a former officer in the Ottoman military, found guilty of crimes against humanity during the First World War, who later went on to found the modern Republic of Turkey. 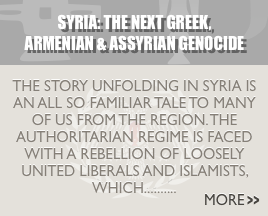 Ataturk was directly responsible for the continuation of the Armenian, Greek (Rûm), and Assyrian Genocide from 1919 until 1923.